OSMAN SOW is heading to Beijing for a medical ahead of a £1m-plus move from Hearts to Henan Jianye. 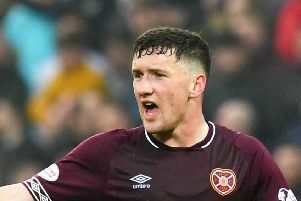 The Swedish striker will join the former Tynecastle defender Ryan McGowan at the cash-rich Chinese club in a lucrative deal for all concerned. Provided there are no late hitches, Hearts will pocket a seven-figure sum for Sow despite the player being out of contract in June. He has scored 11 goals in 27 appearances this season but was expected to move on ahead of the new campaign. The offer from Henan Jianye gives Hearts a sizeable sum to reinvest in their playing squad and youth academy. They signed Sow in July 2014 for free after his departure from Crystal Palace and helped the 25-year-old resurrect his career in Edinburgh.